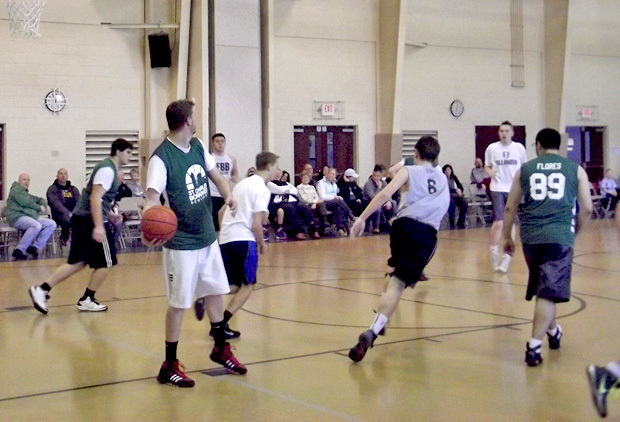 A local version of basketball’s March Madness began Saturday morning , March 7, at Blessed Teresa of Calcutta Parish in Limerick, which hosted a special basketball game between the high school CYO boys team and a team of seminarians from St. Charles Borromeo Seminary. 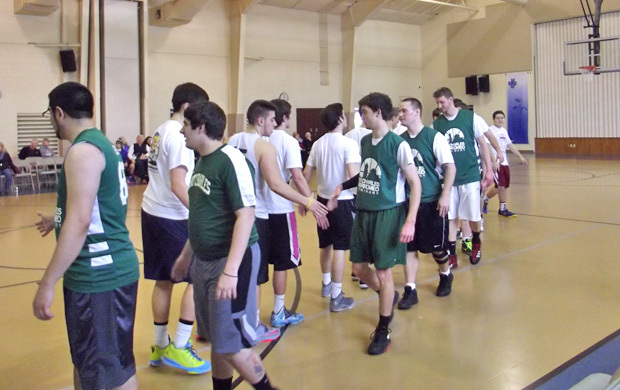 All the students of the parish school attended, as did parishioners, faculty and staff of the parish and school. Donations and high spirits for the event supported vocations to the priesthood. The parish pastor, Father Paul Brandt, hosted the seminarians for lunch afterward. The Blessed Teresa of Calcutta Education Center, where the game and festivities were held, serves more than 400 children from six weeks to eighth grade. The center is led by the pastor, Principal Jane Merritt and Child-Care Director Jackie Stiles.